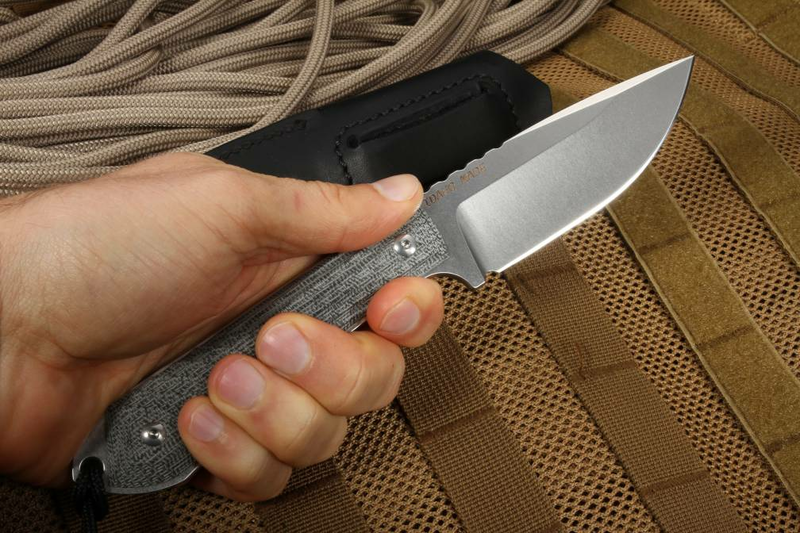 Known as one of the world's premier knife makers for over thirty years, Chris Reeve Knives are chosen by the military, professional outdoorsmen, and workers in the field for the simple reason that they are well designed, well made, and always reliable. Debuting in 2018, the CRK Nyala with Black Canvas Micarta is no exception and perfectly exemplifies the kind of quality and dependability the company endues within all of their products. Coming from the Zulu name for a South African Antelope (Nyala), the knife perfectly encompasses the swiftness and gentle grace of the animal. 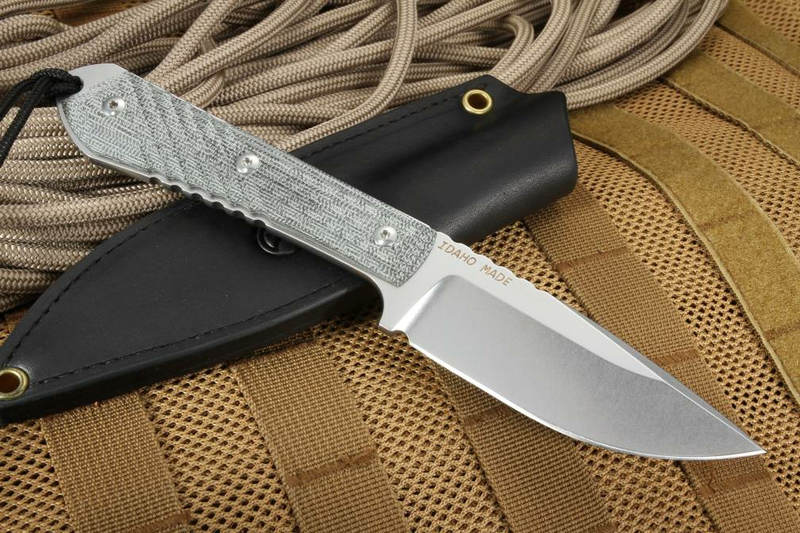 The CRK Nyala features a full tang blade crafted from CMP S35VN Steel with a 58-59 Rockwell hardness rating. This knife was built for hard, in-the-field, labor. The blade's stonewashed finish keeps it's beauty and helps hide scratches that occur during the normal course of use. 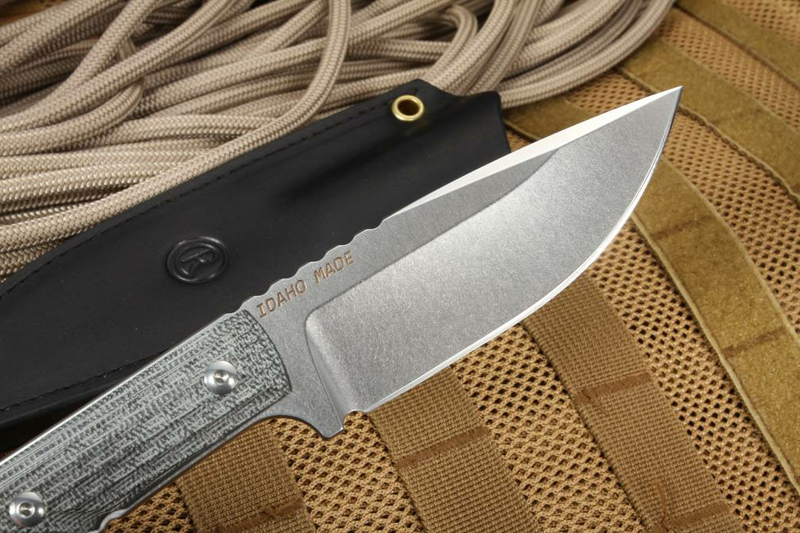 The Drop Point design of the Nyala provides precision puncture and cutting and the big-bellied body of the blade allows for incisions into even the toughest materials. The tang of the Nyala is rounded for comfort and protection of the user's hand and features a deep choil to prevent the index finger from slipping while in use. On the blade spine of the Nyala are jimping grooves for thumb placement and better handling. In August of 2018, the Nyala is now available with a lightweight black canvas micarta hilt providing this earthy huntsman's knife with a more subdued look and matching handle and sheath combination. 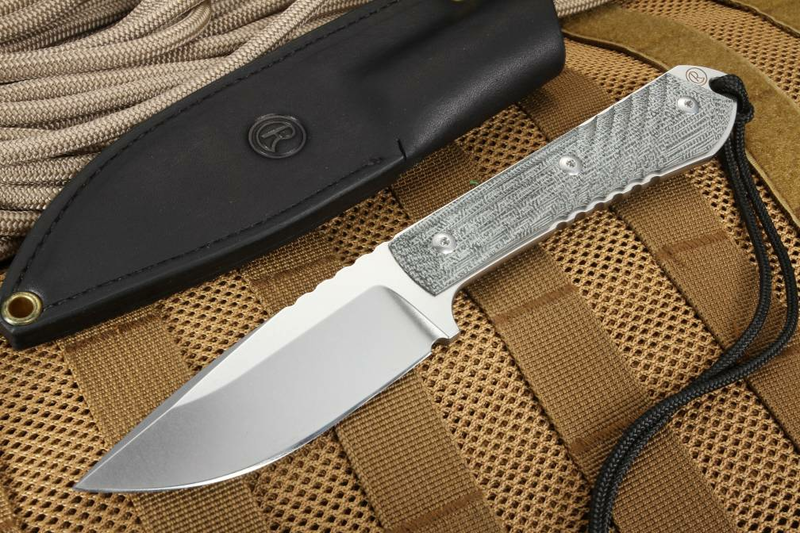 The micarta has both horizontal and diagonal machined grooves in the handle for a firm grip. The handle tang also has jimping for a more positive grip. 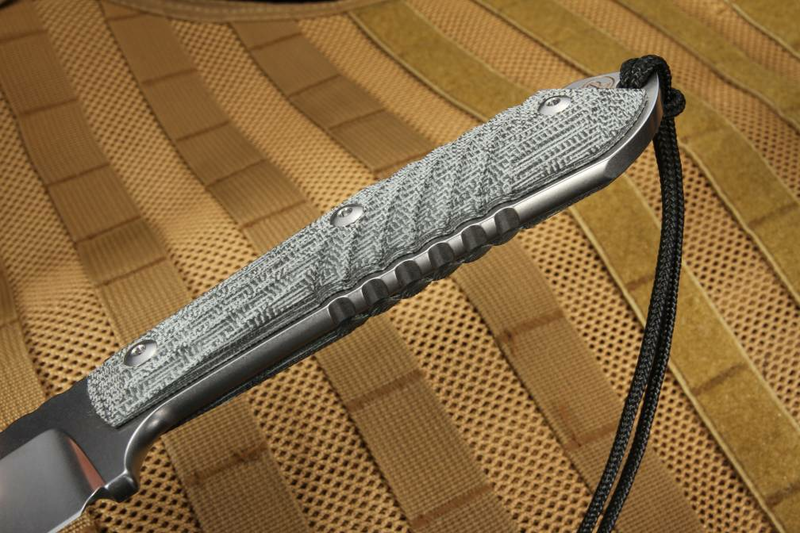 A cool feature of the canvas micarta is the fact that it provides traction both in wet and dry conditions, the added canvas provides an organic feel to the synthetic handle and provides traction when wet. 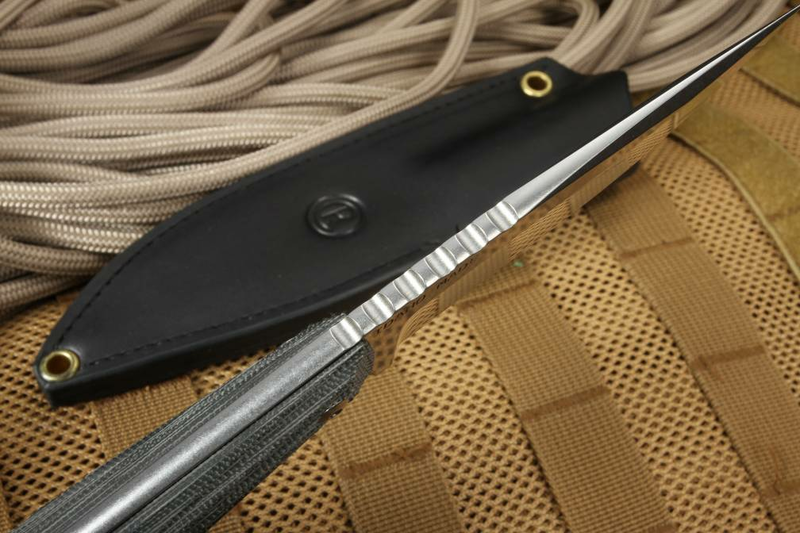 The handle also comes available with a black lanyard to secure the knife in case of drops or falls. The Nyala is 8.5" in overall length and weighs 6.2 ounces, a perfect size for a fixed blade hunting knife. 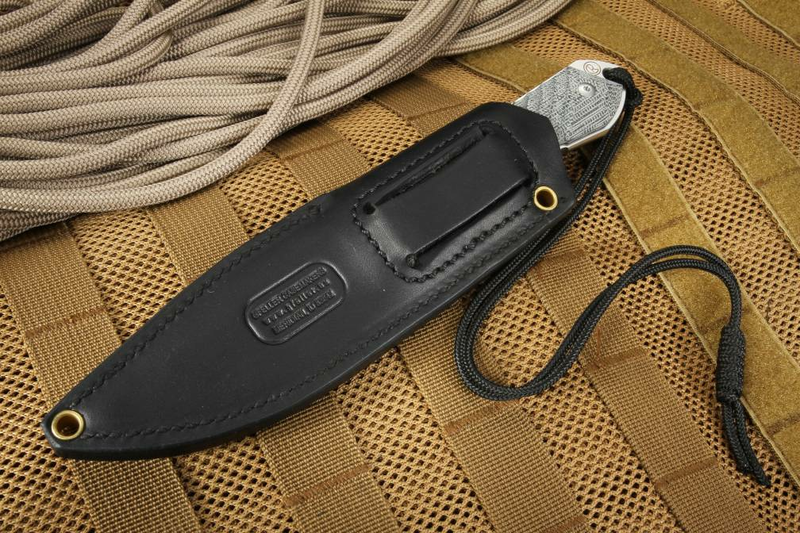 With the accompanying American-made black leather sheath by Gfeller Casemakers, the knife can be carried vertically on belts, hunting harnesses, or should holster rigs. 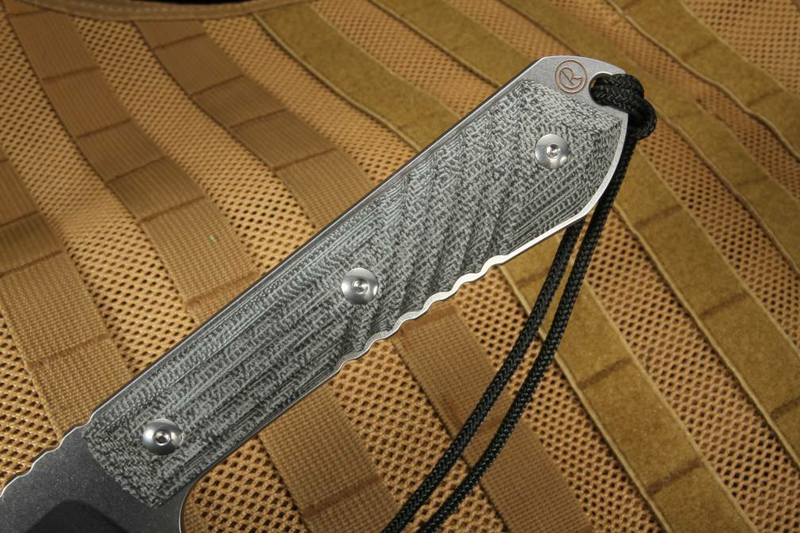 As a Chris Reeves Knives authorized dealer, KnifeArt.com only stock high-end merchandise curated by them. When ordering your CRK Nyala with Black Canvas Micarta Hilt from KnifeArt.com you can rest assured that your order will be promptly delivered in the utmost condition. KnifeArt.com offer a satisfaction guarantee, purchase with Paypal, and free shipping in the United States. Chris Reeves Knives also offer a lifetime guarantee on the Nyala Drop Point with full repair of replacement in case of damage. SHEATH: Black high-quality leather sheath with belt loop by Gfeller Casemakers - Made in USA.